Psychiatric Service Dogs must be thoroughly trained in basic obedience to verbal and/or hand signals (sit, stay, heel, down and come) in both on and off leash scenarios. 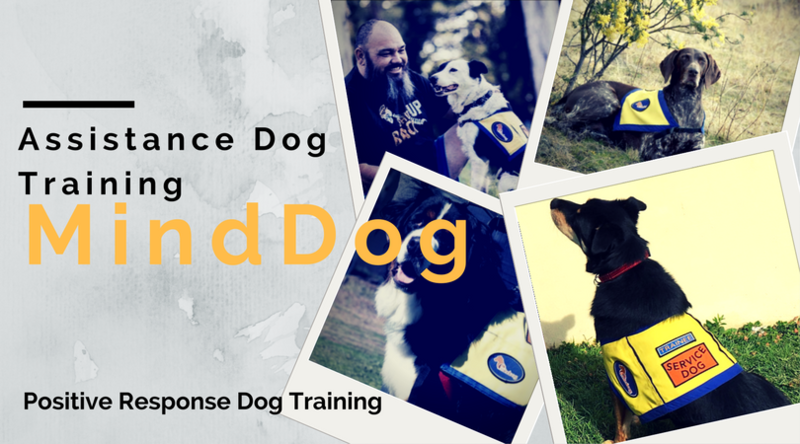 Positive Response Dog Training are the preferred trainers for MindDog. We can help you with all training requirements needed for your dog to become a certified service dog. Positive Response Dog Training offers Public Access Testing with Dee Scott (Certified Public Access Tester). For more information, please visit our FAQ’s. if these do not answer your questions contact us. To book an assessment to see if your dog is a suitable candidate, please press the ‘Book Now’ button.